Match ends, Carlisle United 3, Morecambe 2. Second Half ends, Carlisle United 3, Morecambe 2. Attempt missed. Jamie Devitt (Carlisle United) left footed shot from long range on the left misses to the left. Corner, Morecambe. Conceded by Adam Collin. Attempt saved. Jason Oswell (Morecambe) header from the centre of the box is saved in the top centre of the goal. Attempt saved. Joe Piggott (Morecambe) right footed shot from the centre of the box is saved in the centre of the goal. Substitution, Carlisle United. Liam McCarron replaces Ashley Nadesan. Attempt blocked. Jason Oswell (Morecambe) right footed shot from the right side of the box is blocked. Goal! Carlisle United 3, Morecambe 2. Jerry Yates (Carlisle United) right footed shot from outside the box to the bottom left corner. Attempt saved. Carlos Mendes Gomes (Morecambe) right footed shot from outside the box is saved in the top centre of the goal. George Glendon (Carlisle United) wins a free kick in the attacking half. Substitution, Morecambe. Jason Oswell replaces Vadaine Oliver. Ashley Nadesan (Carlisle United) wins a free kick in the defensive half. Corner, Morecambe. Conceded by Gary Liddle. Substitution, Morecambe. Aaron Wildig replaces Lamin Jagne. Attempt missed. Carlos Mendes Gomes (Morecambe) right footed shot from the right side of the box misses to the left. Attempt saved. Ashley Nadesan (Carlisle United) right footed shot from the centre of the box is saved in the centre of the goal. Attempt missed. Jerry Yates (Carlisle United) right footed shot from outside the box misses to the right. Attempt missed. 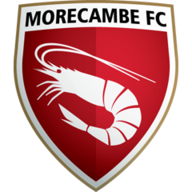 Jordan Cranston (Morecambe) left footed shot from more than 35 yards is high and wide to the left. Macaulay Gillesphey (Carlisle United) wins a free kick in the defensive half. Foul by James Sinclair (Morecambe). Attempt missed. Sam Lavelle (Morecambe) right footed shot from the left side of the six yard box is close, but misses to the left. Corner, Morecambe. Conceded by Gary Miller. Attempt blocked. Macaulay Gillesphey (Carlisle United) header from very close range is blocked. Corner, Carlisle United. Conceded by James Sinclair. Jerry Yates (Carlisle United) wins a free kick in the defensive half. Attempt blocked. Jordan Cranston (Morecambe) left footed shot from outside the box is blocked. Second Half begins Carlisle United 2, Morecambe 2. First Half ends, Carlisle United 2, Morecambe 2. Attempt saved. Richard Bennett (Carlisle United) header from the centre of the box is saved in the top centre of the goal. Attempt missed. Gary Liddle (Carlisle United) right footed shot from the right side of the box misses to the left. Corner, Carlisle United. Conceded by Josef Yarney. Attempt missed. Jamie Devitt (Carlisle United) right footed shot from outside the box is close, but misses to the left. Attempt saved. Richard Bennett (Carlisle United) right footed shot from very close range is saved in the centre of the goal. Goal! Carlisle United 2, Morecambe 2. Macaulay Gillesphey (Carlisle United) left footed shot from outside the box to the bottom left corner. Lamin Jagne (Morecambe) is shown the yellow card. Foul by Joe Piggott (Morecambe). Goal! Carlisle United 1, Morecambe 2. Joe Piggott (Morecambe) right footed shot from the centre of the box to the bottom left corner. Assisted by Vadaine Oliver. Corner, Morecambe. Conceded by Tom Parkes. Substitution, Morecambe. Barry Roche replaces Mark Halstead because of an injury. Attempt missed. Richard Bennett (Carlisle United) header from the centre of the box is high and wide to the left. Attempt blocked. Carlos Mendes Gomes (Morecambe) right footed shot from the right side of the six yard box is blocked. Goal! 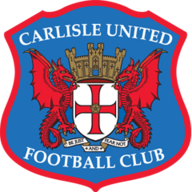 Carlisle United 1, Morecambe 1. George Glendon (Carlisle United) right footed shot from outside the box to the bottom left corner. Goal! Carlisle United 0, Morecambe 1. Vadaine Oliver (Morecambe) header from the centre of the box to the centre of the goal. Attempt missed. Richard Bennett (Carlisle United) left footed shot from the centre of the box is too high.